Wearing safety gear is a no-brainer for a young generation of beginners, while more and more seasoned skateboarders stay protected by padding up. Skate Helmets & Protection Retail Buyer’s Guide 2019 by SOURCE Skateboard Editor Dirk Vogel. Attitudes toward protective gear are changing among core skateboarders. For decades, street skaters would scoff at safety gear, only donning it after the damage was already done. Salman Agah spent his entire career fluctuating between a cast and wrist guard. 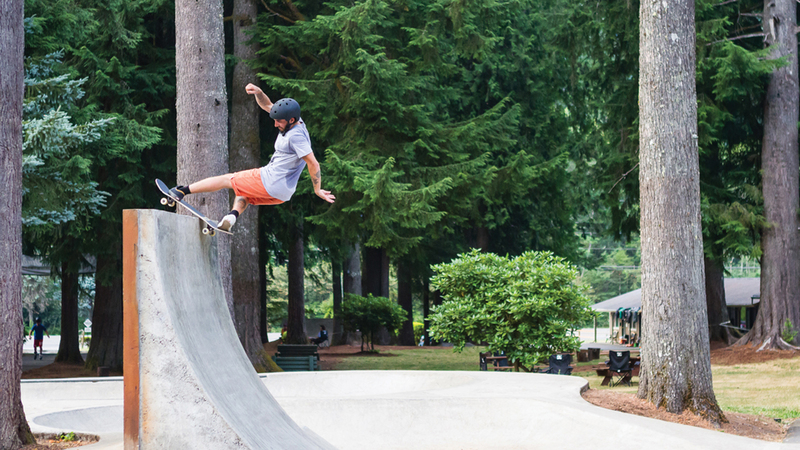 And while some of today’s leading vert rippers still refuse to pad up and wear helmets – looking at you, Chris Russel and Clay Kreiner – riders like Mike Vallely set an example by always skateboarding with helmets. And did you know that leading street skaters wear body protectors under their baggy shirts when it’s time drop hammers? The anti-protection attitude is crumbling, especially among new beginners. “Skateboarding is definitely in a growth phase. 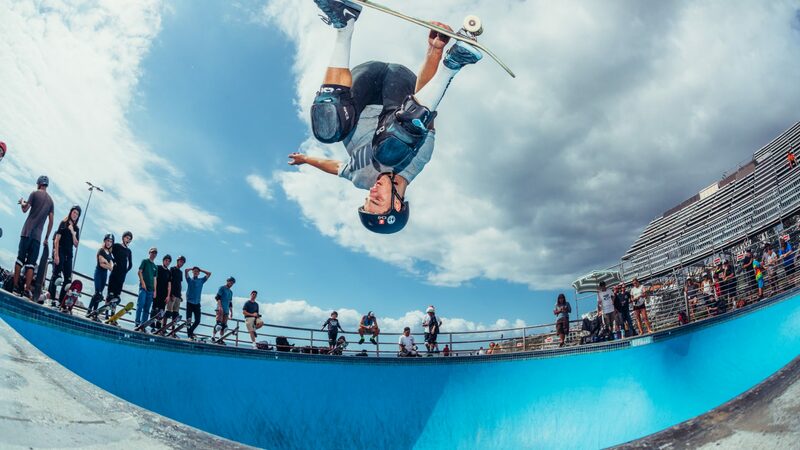 Although many core skaters choose not to wear a helmet full time, helmets for the younger generation are a must as well as the older skate population who are having kids and want to lead by example,” said Kevin Sansalone, Sandbox Founder. “Same as with winter sports enthusiasts, it seems as though more skaters are switching on to the concept that protecting your dome is a good idea,” according to Bern. Speaking of sales, forecasts for the protective skateboard gear segment are muted at best. While the global skateboarding equipment market is expected to exceed $5 billion by 2020 (Technavio), protective gear is expected to generate more than $1.3 billion. Safety gear has the smallest share compared to hardware and softgoods, and Technavio analysts expect the segment “posting the slowest rate growth rate over the next five years.” Byways of explanation, the report offers that safety gear is highly restricted to professional skateboarders, while regulations prescribing mandatory safety gear are lacking. But on a bright note, “visibility and awareness” are growing. Awareness begins in retail, for instance with POS displays and racks provided by almost all endemic helmet and pad companies. As a major sales argument, skateboard-specific protection offers significant value – meaning certification and advanced technologies – at comparative attractive rates. The main price window for helmets crystalizes around €44.95 right now, while pro-level knee pads cost as little as €34.95. Further added value comes from the fact that most skate helmets can easily cross over into sports such as snowboarding, mountain biking, and kayaking. Brands are actively serving this trend, which has also lead to an influx of skate helmets with visors such as the Sandbox “Classic 2.0 Street” model, among many examples. To hear R.P. Bess, Global Brand Director Pro-Tec, tell it: “We offer helmets and protection to skate, bike, water sports, and snow. Technologies differ across the different categories but we see the crossover of our products from category to category an opportunity for customers to experience new technologies in categories where it’s not widely accepted.” Bern has been “seeing a big increase in liner sales that allow our customers to seamlessly switch from summer riding to winter shredding,” and they emphasize the Macon All-Season (winter-upgrade compatible) skate helmet. Tobias Dray, Brand Manager at REKD said: “REKD Helmets are perfect for longboards just as much as they are BMX or scooters, and the same goes for our pad ranges, too.” For kids and young adults, Bern has the Ollie and Nollie models. 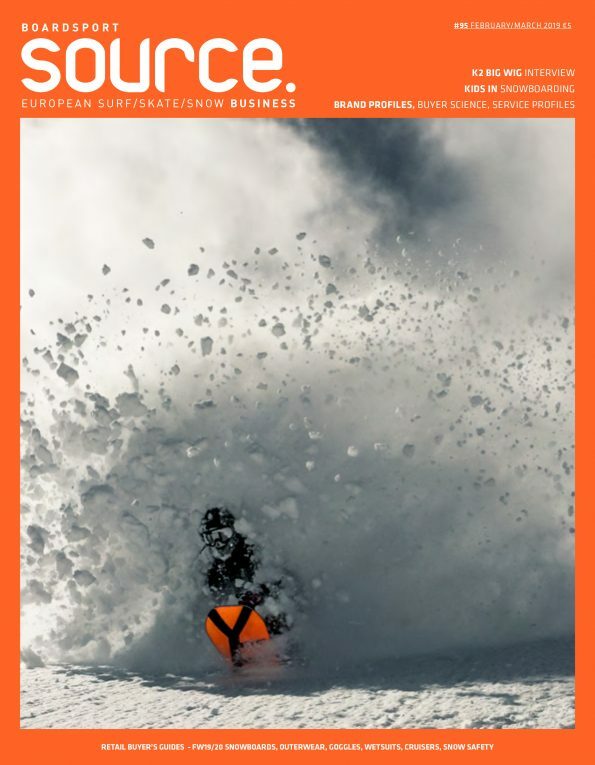 “EGG is working intensively launching its new helmet, multi-purpose (ski, skate, bike). Estimated release by the end of this year,” said Charly Heusschen. Even quality helmets have a limited lifespan, and all EPS (expanded polystyrene) helmets should be replaced every three years or after a major impact. Retailers need to communicate this fact to customers while stocking certified models according to international safety standards. All brands include certification info in their marketing materials and packaging, including safety seals such as EN1078, CE, ASTM, AS/NZS 2063:2008, and CPSC. Also look for a new wave of helmets incorporating MIPS protection (see Helmet Technologies). Realistically, not much has changed since Pro-Tec nailed the formula for hard-shell polyurethane helmets in 1978 with the Full-Tec helmet model; which later evolved into the half-shell “skate helmet” still popular today. The main difference, however, is that today’s helmets are much lighter and better ventilated. “We feel that the classic skate style helmet will always lead the helmet market. The aim now is to make the best helmet possible that fits into that style. Consumers are moving away from non-certified helmets to make a fully certified, lightweight skate helmet the perfect direction to go in. Our new In-Mold helmet will do just that,” said Kevin at REKD. Next season’s biggest seller remains the classic half-shell helmet with models such as the Classic Skate (Pro-Tec), Meta (TSG), Macon (Bern), Certified Sweatsaver (Triple 8), Elite (REKD), and Legend Street (Sandbox). Next to lightweight EPS liners and EVA pads, also look for adjustability options like TSG’s “Dial Fit System for a perfect fit on the move. Additional adjustment via interior pads allows the helmet to be optimally adapted to the shape and size of the head.” The comeback of full-cut helmets, worn by pioneers such as Mark Gonzales, is a major trend this season. “We have seen a huge resurgence for our Full Cut or Full-Tec over the ear helmet in skate and bike. It being our 45 year anniversary we have also added the Full Cut in the Snowline as well,” said R.P. at Pro-Tec. Much like skateboard shoes, helmets sell best when they are fully black. But dark colours may backfire under extreme sunlight by drawing heat, plus today’s kids ask for more variety. Next season, look out for camouflage prints from various brands, subtle earth colours, brighter accents and geometric patterns (Pro-Tec), black-grey-camo (REKD), and metal flakes and glittery paints (TSG). Also similar to skate shoes, the trending colour for next season is burgundy. Pink helmets are also trending among young girls, one of the biggest growth markets at the moment (also see Retail Buyer’s Guide in this issue). While pads may not require replacement as often as helmets, buying the right pads makes all the difference in the long run. The market is flooded with cheap, commodity offerings and “beginner sets”, but true quality lives at the core shop. Retailers need to steer (young) customers towards certified quality, said Nadja Herger, Marketing/Communication at TSG: “The fact that all our pads are certified and that we comply with the guidelines of the new EU regulation (EU) 2016/425 for personal protective equipment, we need to communicate more.” For added value, skateboard pads cross over into other sports, but always should be checked for their suitability. Today’s skateboard pads offer an unprecedented level of flexibility, thanks to viscoelastic foams such as TSG’s Arti-Lage soft foam that uses body heat to adapt perfectly to the curvature of the knees and absorbs up to 95% of impact energy. REKD implements ergonomic knee recesses on the Protection Pro Ramp Knee Pads, paired with butterfly closure on the rear of the pad. Pointing out the major trend in pad design for next season, Nadja at TSG said: “High-quality protectors for kids. Kids start younger and go more extreme. So, they need pro pads in kids’ sizes. In 2019 we will launch our Force III kneepads in a youth version to follow this development.” Next to traditional pads featuring hard caps, soft pads that can be worn under clothing have been gaining traction over past seasons, including Triple 8’s Exoskin line and offerings from TSG and REKD. 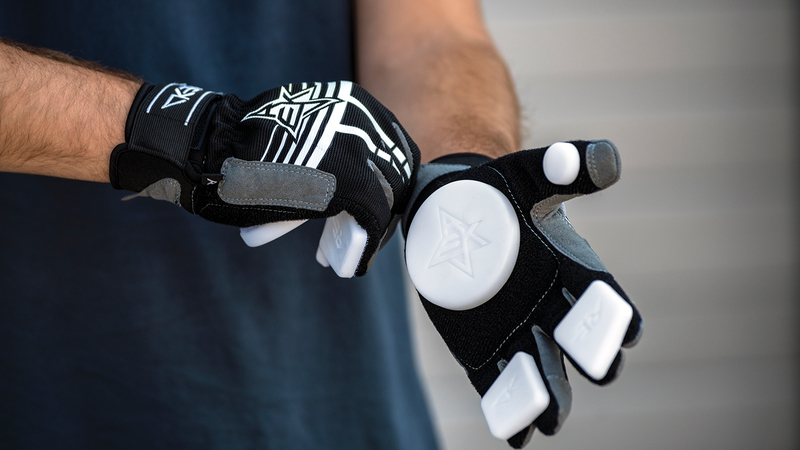 In the downhill segment, slide gloves are gaining traction, including REKD’s model with palm impact support and sweat absorbing micro fibre on the thumb at €44.95 RRP. In another unwritten rule of skateboarding, knee and elbow pads also come in any colour riders want, as long as it’s black. But anyone familiar with Skateboard Hall of Famer Steve Alba knows that a little flair byways of tiger stripes can go a long way. For next season, Smith blends in leopard skin and “Pszcho Rasta” patterns, Pro-Tec has a cool checkerboard pattern in the knee and elbow pads, while One Eight Seven pads made royal blue their calling card. Several brands also offer replacement hard caps in a rainbow of colours to let riders customize their pads. Because after all, safety may come first, but individual style should never come second.